Designated Drivers just for YOU. We drive YOUR car for you! Carefully selected drivers and a tailored experience to suit your needs. Travel in comfort in your own vehicle when it suits you and let us get you home! Book your personal driver now with just a few clicks. Travel in the comfort of your own car for any occasion and make it a night to remember! Have peace of mind knowing you and your family can still have a great night out and get back to your accommodation safely, without the worry of booking taxis. If you’re planning to visit SE Queensland, for pleasure or business, we can arrange a friendly, experienced driver to drive you to favourite tourist destinations or business locations. There are plenty of things to worry about, when you're organising a wedding. Don’t let your wedding car be one of them! We will take care of the details. Enjoy a drink or two and our Zero Driving TEAM will drive you and your car home. Now you can have a drink after work or an extra one when the whim takes you! No wasted hours the next day going back to pick up your car! Don’t leave your pride and joy in a public car park ever again. Caring, reliable and trustworthy – After Day Surgery, gruelling hospital visits, unexpected illness or injury. Our professional drivers offer that little bit of extra assistance for when you need it - door to door-with a smile. We offer a solution for all your corporate needs. Whether you are looking for workforce transportation solutions or transferring clients or VIPs between venues for meetings and conferences, we provide the reliable service you need. Our carefully selected and independently contracted drivers are committed to providing services when you need them most. Advance or Pre-booking by at least 2 hours ensures you a premium service. As with any first class service the more notice we have the more likely we can meet your individual needs! Pre-booking ensures you a premium service:- your preferred driver can be reserved just for you! We are happy to pre-book a Zero Driving TEAM outside of these hours, just give us a little notice! ​If you prefer to speak to real person you can always pick up the phone! Call Us on 1300 699 376 - We'll work out the best option together and place the booking for you. You can also request your own favourite or regular driver! 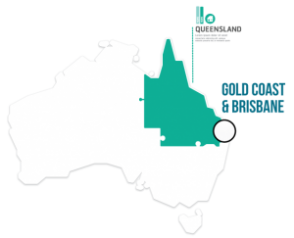 We are currently operating in Gold Coast, Brisbane, Ipswich, South East Queensland and Northern NSW to Byron Bay - with plans to grow!